And it’s surprising how much homage was paid around baseball to the man himself. Brandon Phillips used a different batter walk up song each time he came to the plate tonight. The Purple Prince logo was on the big screen in Arlington (even though the announcer said ‘what is that’). 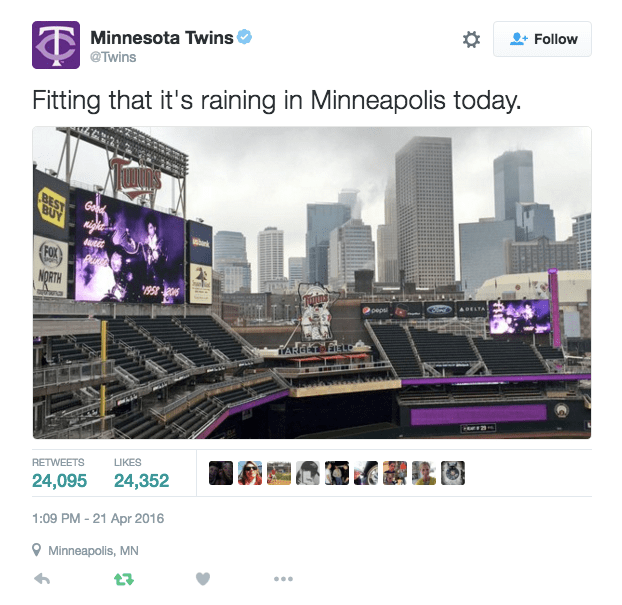 As seen above, the Twins lit their park up purple. And then they went out and spanked the Brewers 8-1. 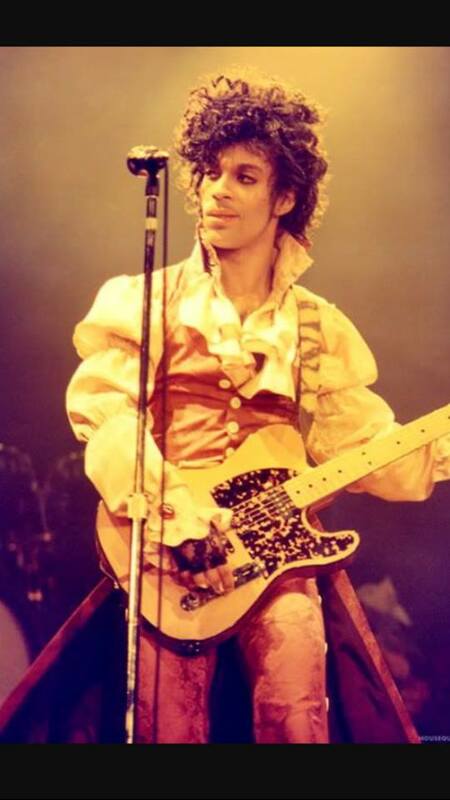 I was always partial to Little Red Corvette in a big way, but on a day like today; no other song needs played.